Deliverance Revival Church was originally established in the mid-1990's, but after several challenges, including our founder's inability to effectively meet the high demands of building the work at Deliverance while at the same time fulfilling his required duties at another established work where he also served as pastor, the decision was made to place DRC on hiatus until the appointed time when God would provide the necessary ministerial assistance. That time came two years later when our General Overseer, Bishop Harold H. Norman was led to re-launch Deliverance Revival and to assign new pastors to take the reins. The church is now back and moving forward with the faith and assurance that OUR BEST IS YET TO COME! Because of his physical stature, Bishop Harold H. Norman has often referred to himself as "God's little man of faith," but because of the spiritual anointing on his life, others know him to be a giant in the gospel. The twelfth of eighteen children born to the late Reverend Thomas & Mrs. Mable Norman Sr., Bishop Norman was raised in Macon, Georgia where he received his early education. Later, he pursued religious studies at Liberty University in Lynchburg, Virginia. He and his beloved wife of 53 years, Mother B. Francine Norman were saved and filled with the Holy Spirit during the same Watch Night service in December of 1961 and worked together in ministry until the Lord called her home in 2014. They were blessed to raise five children (three of whom are licensed or ordained to carry the gospel). 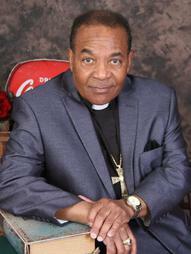 After serving as a minister in the Church of God in Christ for some years, God called Bishop Norman to full time evangelism during which time he traveled the globe preaching and teaching the Word of God in churches as well as in gospel tent revivals. It was during one of his many tent crusades that God revealed to him that it was time to set roots and begin functioning as a pastor. After planting several churches, he was consecrated to the office of Bishop and because of his dedication to God's call on his life, the organization that is Revival Church Incorporated continues to expand. As a single parent living in the tough city of Buffalo, New York, Mattie P. Holmes raised her son to be a hard-worker and a survivor. Michael Holmes received his earliest schooling in Buffalo where he was born, but as a preteen, he relocated southward with his family where he continued his education and graduated from Manchester High School (Manchester, Georgia). Michael has been licensed in ministry for over twenty years. He accepted Christ as his personal Savior and his initial calling into the ministry as a member of Macedonia Baptist Church in Columbus, Georgia. He later shifted his membership to Faith Worship Center where he developed a deeper relationship and a stronger walk with the Lord. There, after completing FWC's ministry training, he was licensed again by pastor and founder, Dr. Ann L. Hardman and served faithfully under her spiritual covering for seventeen years. Michael's higher education began at Columbus Technical College, but he later decided to instead follow his passion and switched gears, pursuing his credentials as a life coach. He attained his goal and received his accredited certification as a Christian Life Coach through Light University. 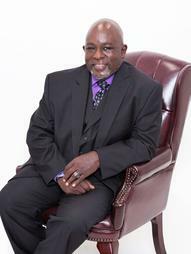 He is the visionary of Royalty Ministries and founder of Royalty Relationship Coaching. With a strong desire to empower and uplift marriages and family through ministry and the Word of God, he is first partaker of what he preaches. Michael is the doting husband of his co-pastor, Kendra Holmes. Together, they have three adult children. Dubbed the "Royalty Writer," she's the highly acclaimed national bestselling author of more than 20 faith-based fiction and nonfiction books. 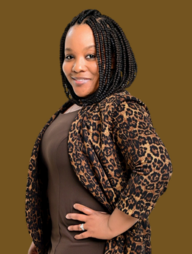 She is the founder of Royalty Publications and the creator and host of Royal Pen Network, a highly rated, internationally heard, weekly radio show. Born in West Palm Beach, Florida, Kendra Holmes grew up the third of five children raised in a staunch Christian home where both parents were preachers. She's a graduate of Brooks County High School (Quitman, Georgia) and Valdosta Technical College (Valdosta, Georgia). Kendra knows first hand the sacrifice and servitude that goes into being used by God as an effective pastor. After all, she was raised by one. Her ministerial license was issued nearly twenty-five years ago by her father, founder of Revival Church Incorporated, Bishop Harold H. Norman. Because she has moved a number of times in her adult years, Kendra has had the honor of serving under the leadership of very powerful men and women of God. She was an active member of Grace Church International in Atlanta, Georgia (Bishop Johnathan Alvarado) where she served on the media ministry and spearheaded the church's book club ministry. Upon getting married and moving to Columbus, Georgia, she had the joy of being a part of Faith Worship Center (Dr. Ann L. Hardman). But her introduction to Christ and her training in ministry came under the capable tutelage of her father, and in God's perfect time, He brought her back to her roots. Kendra is the loving wife of her co-pastor, Michael Holmes. Together, they have three adult children.